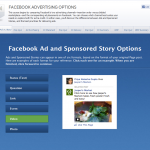 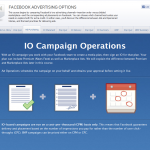 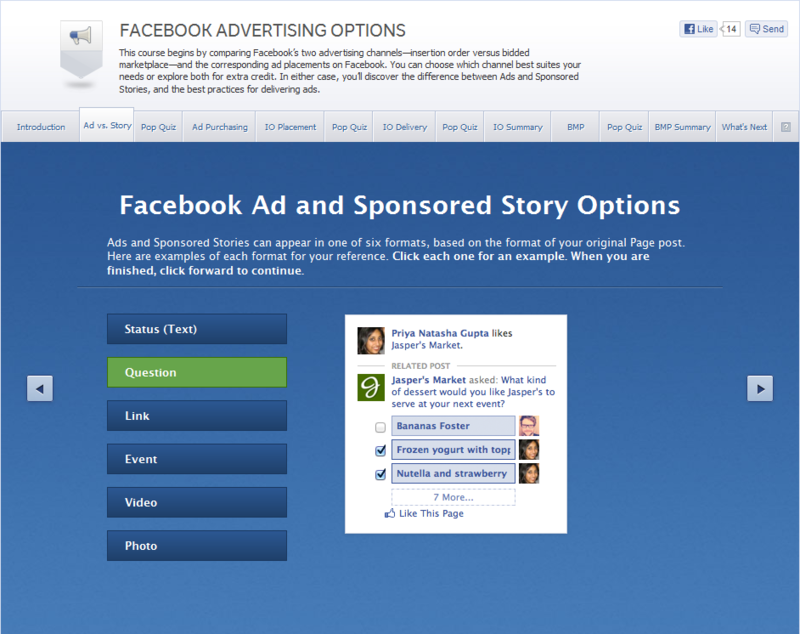 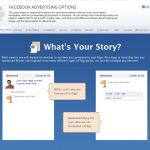 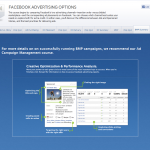 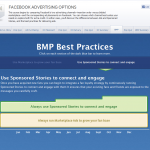 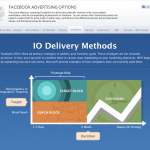 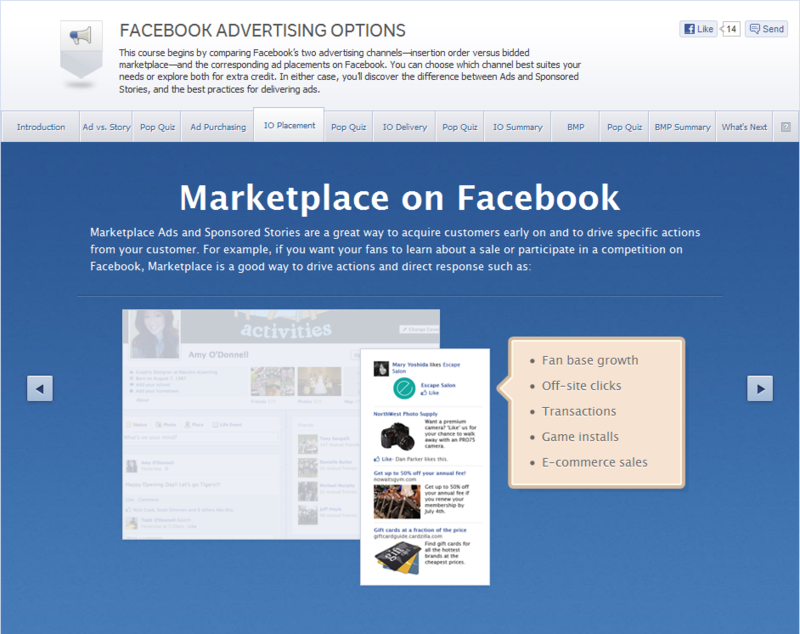 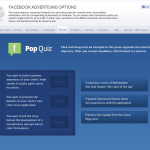 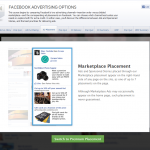 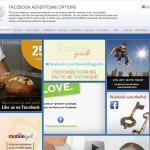 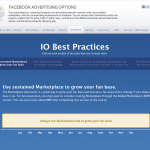 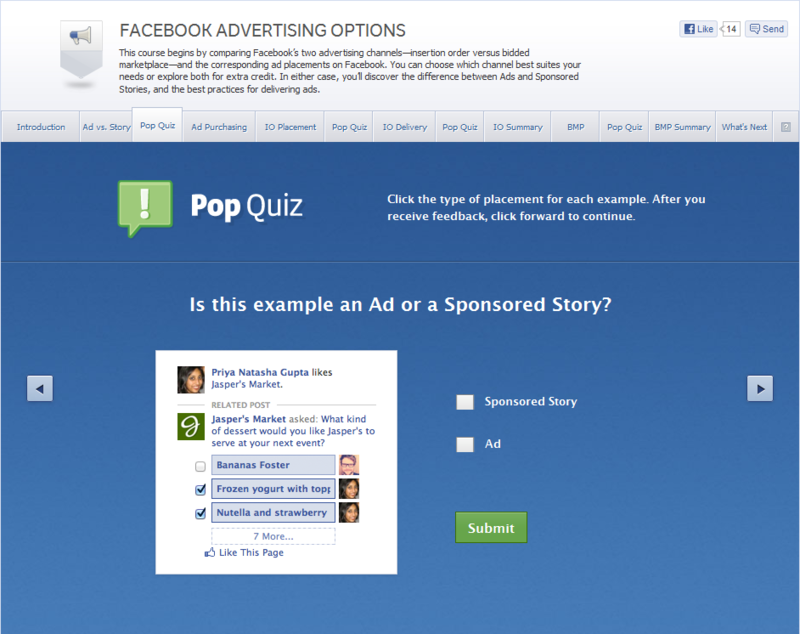 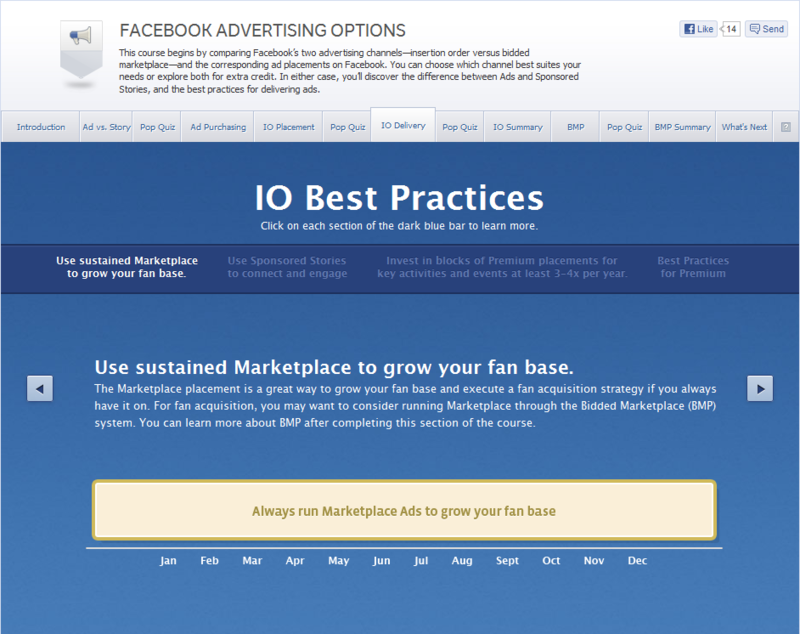 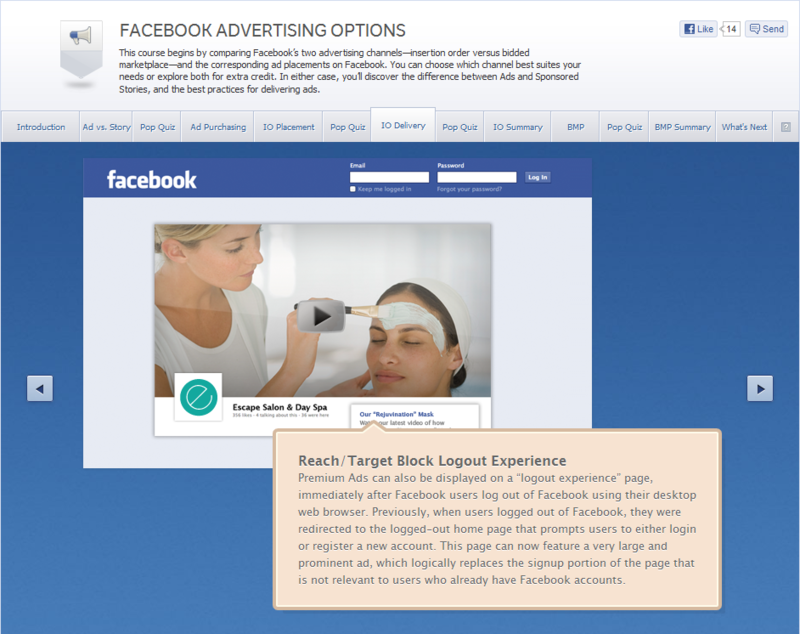 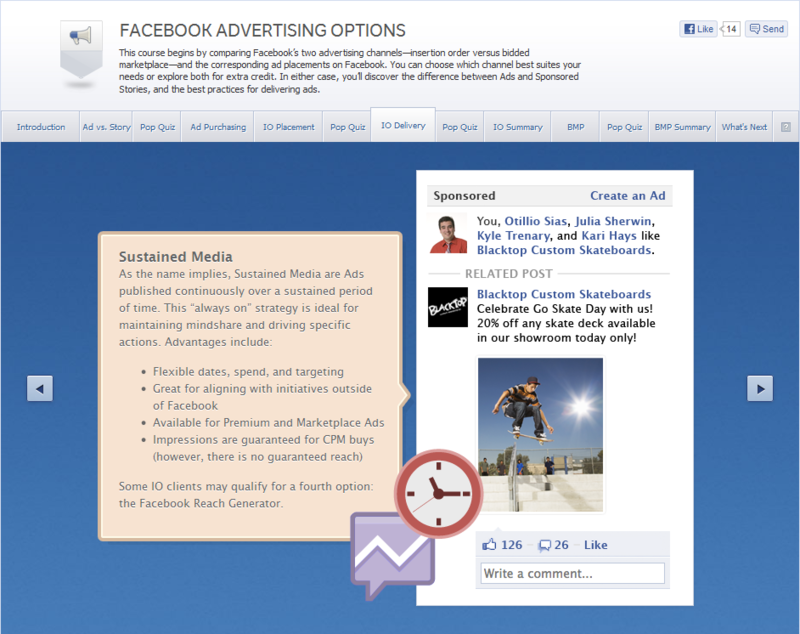 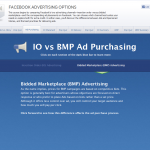 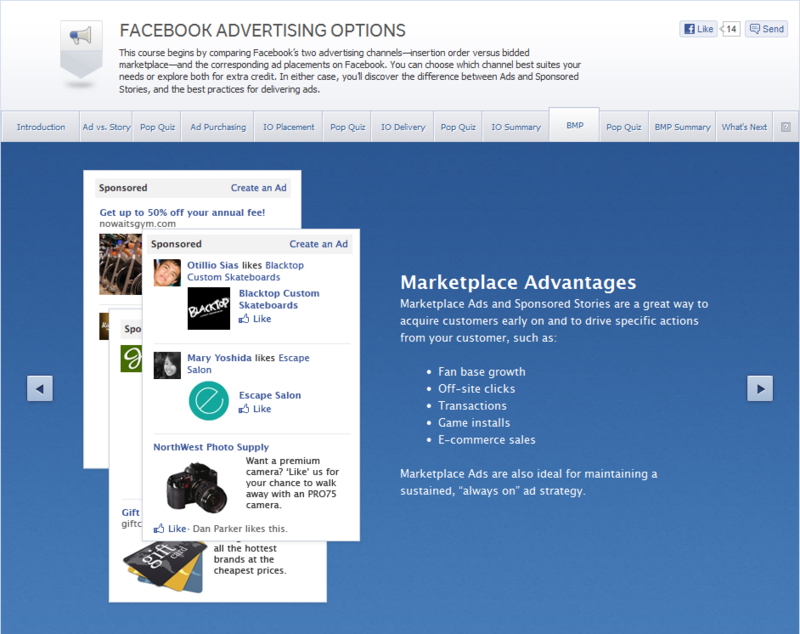 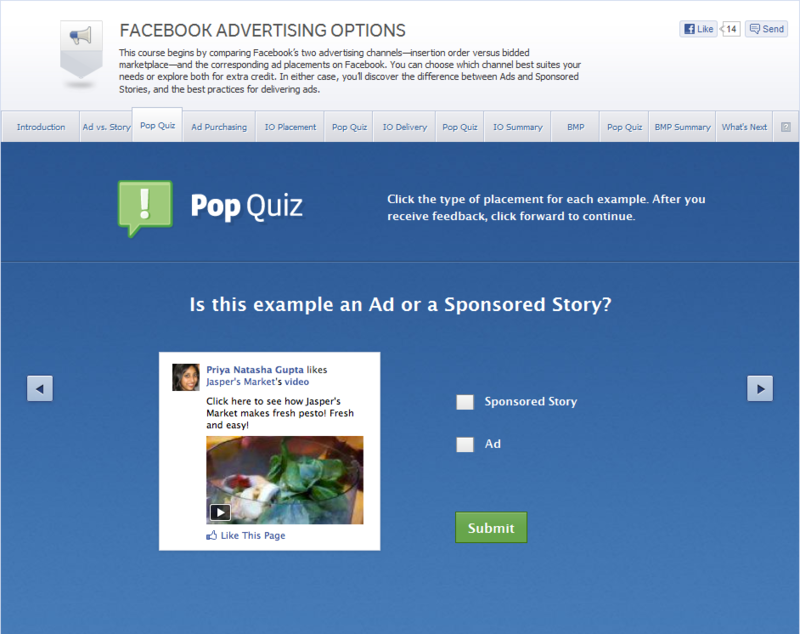 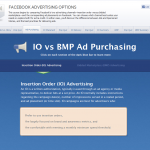 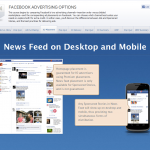 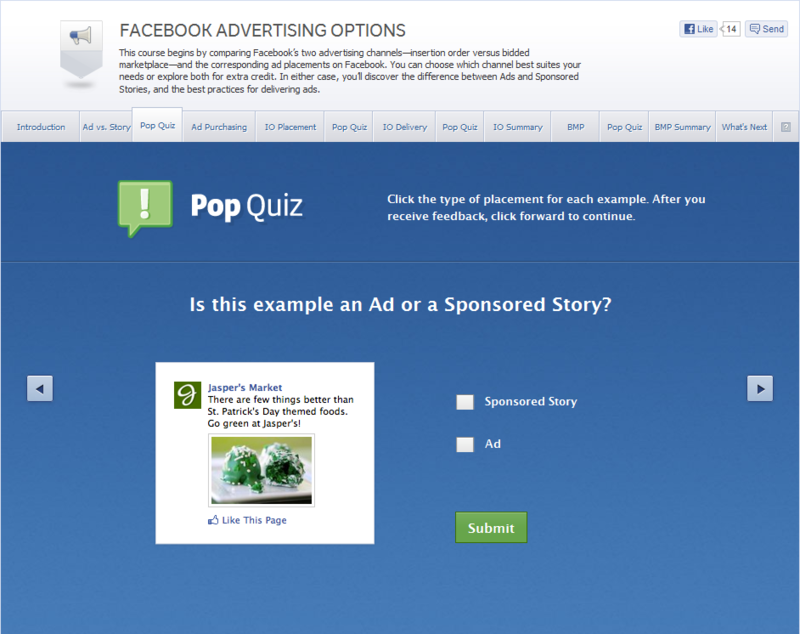 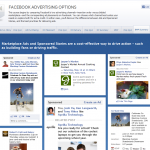 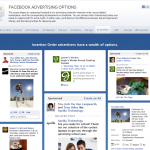 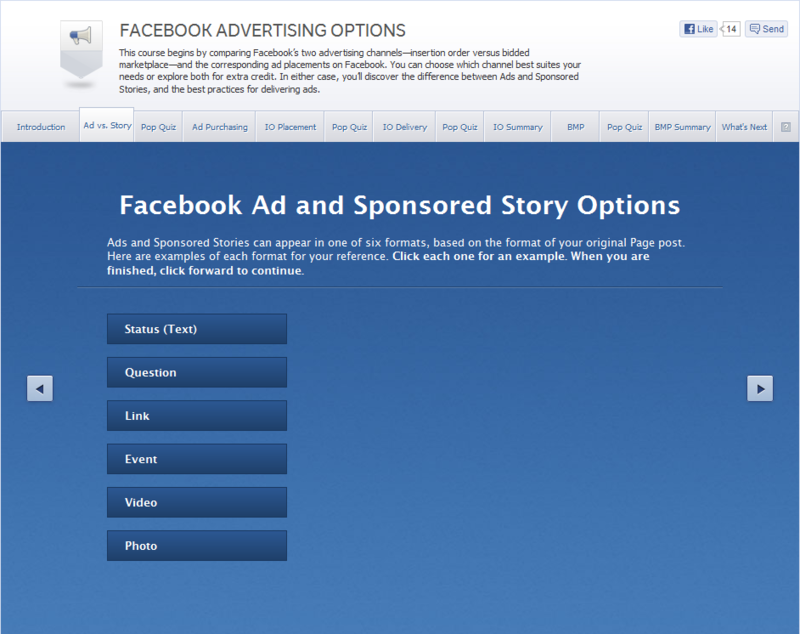 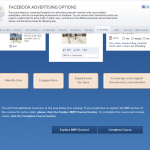 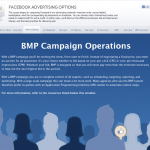 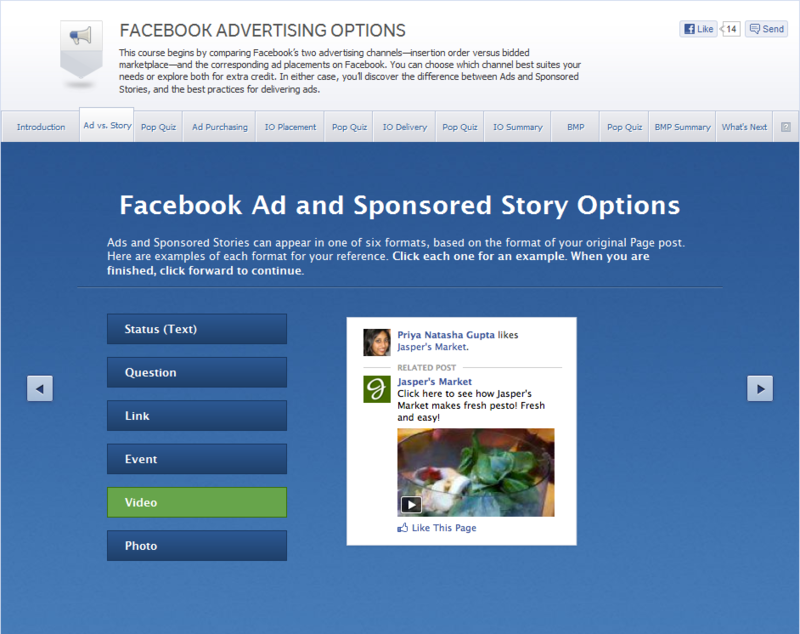 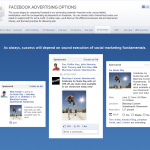 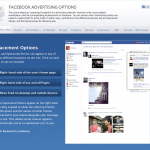 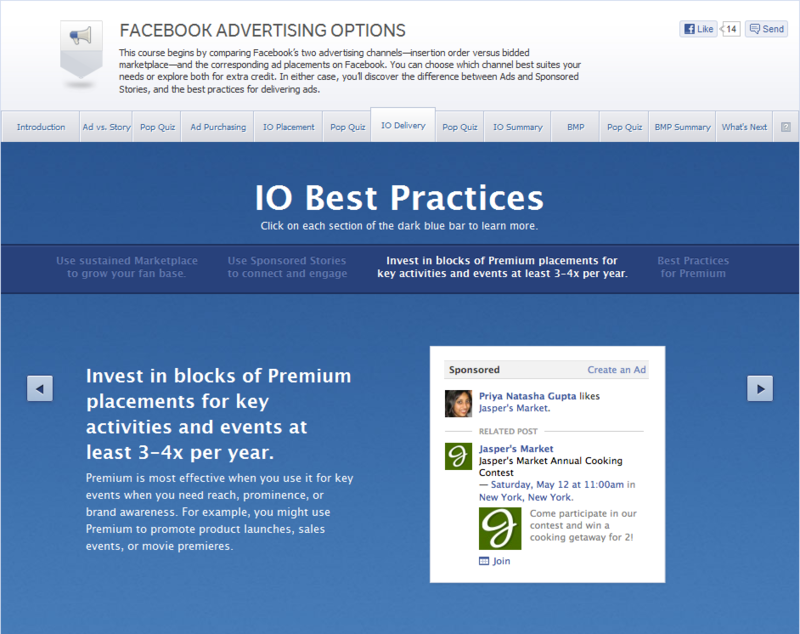 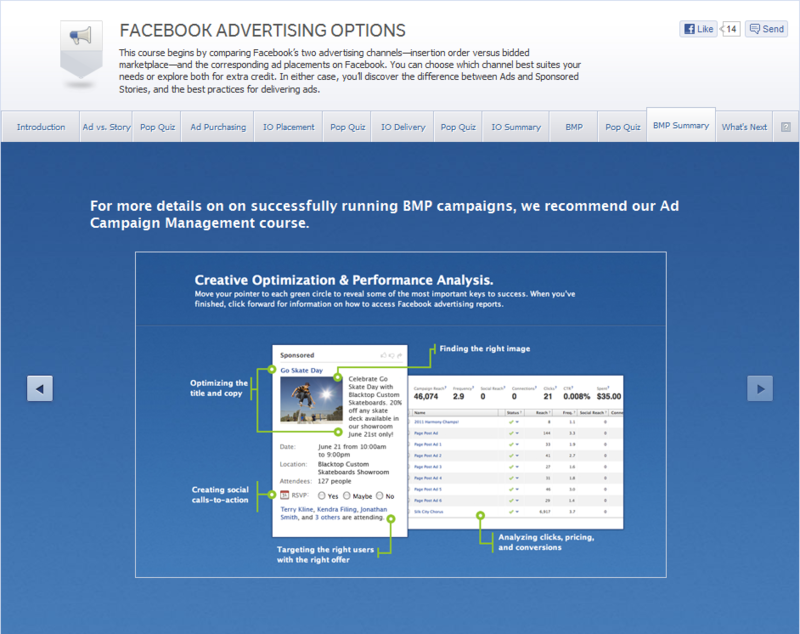 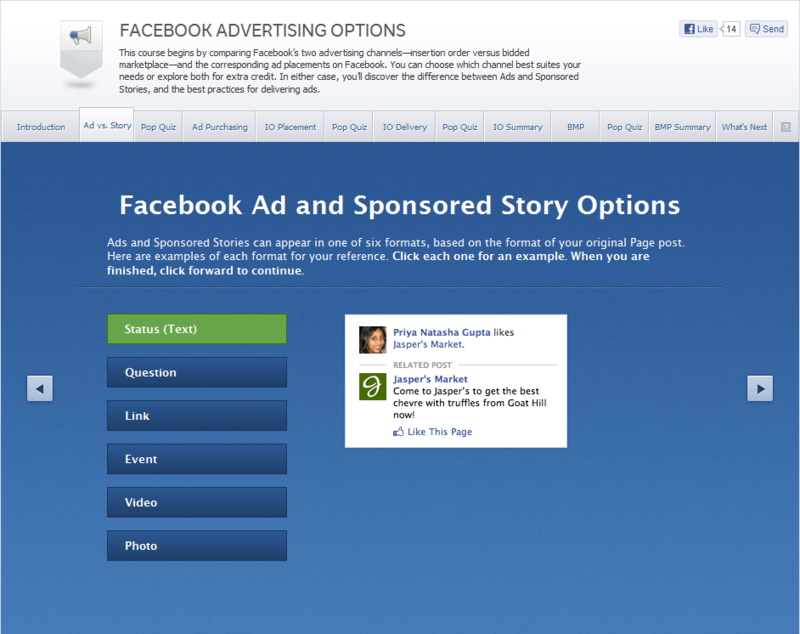 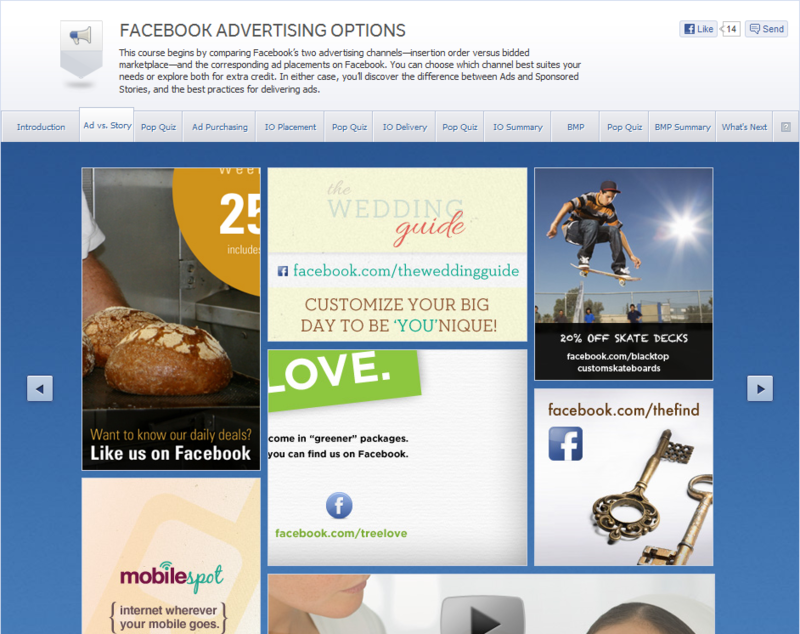 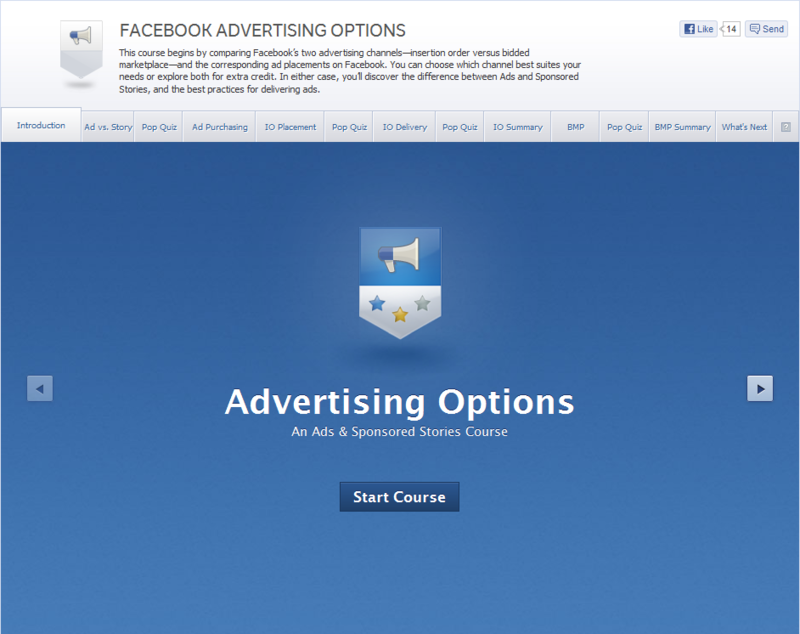 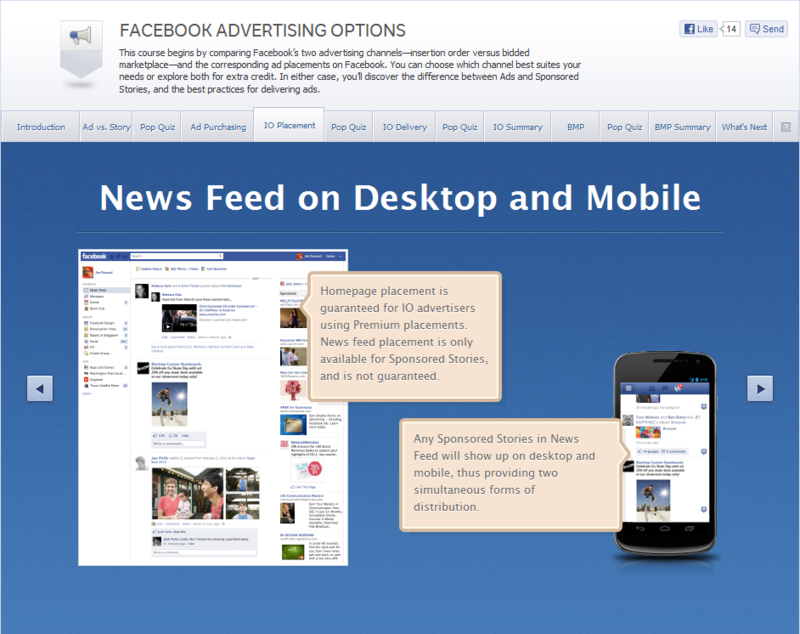 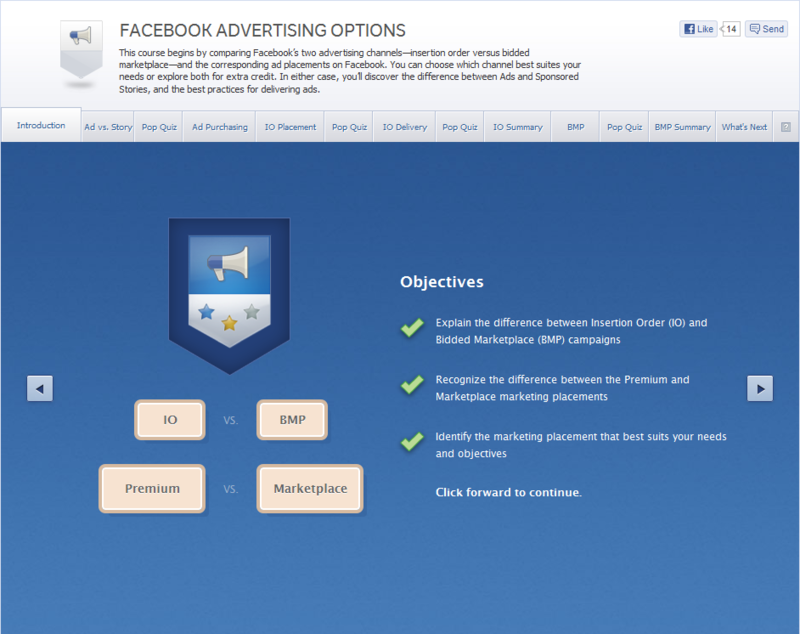 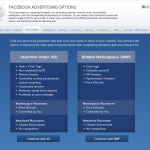 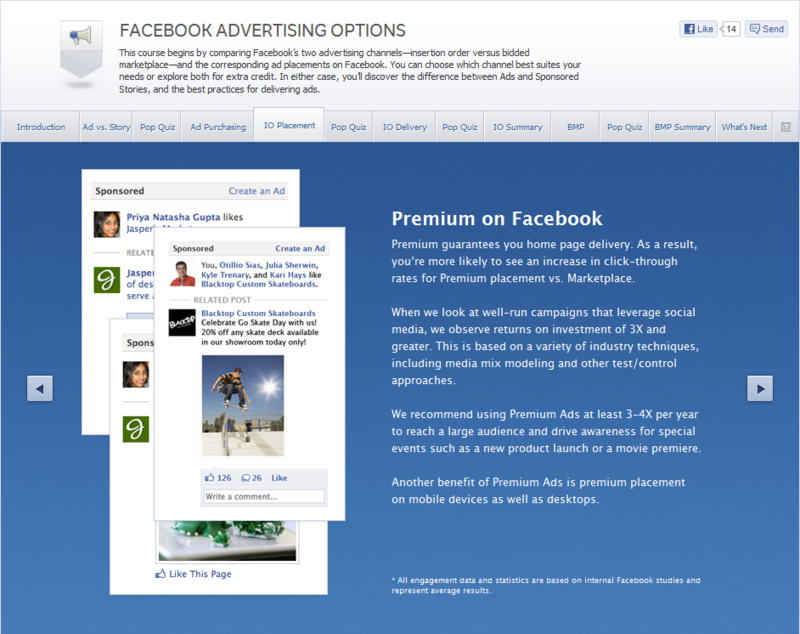 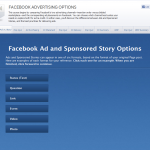 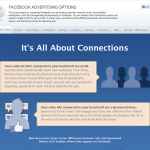 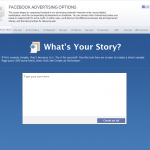 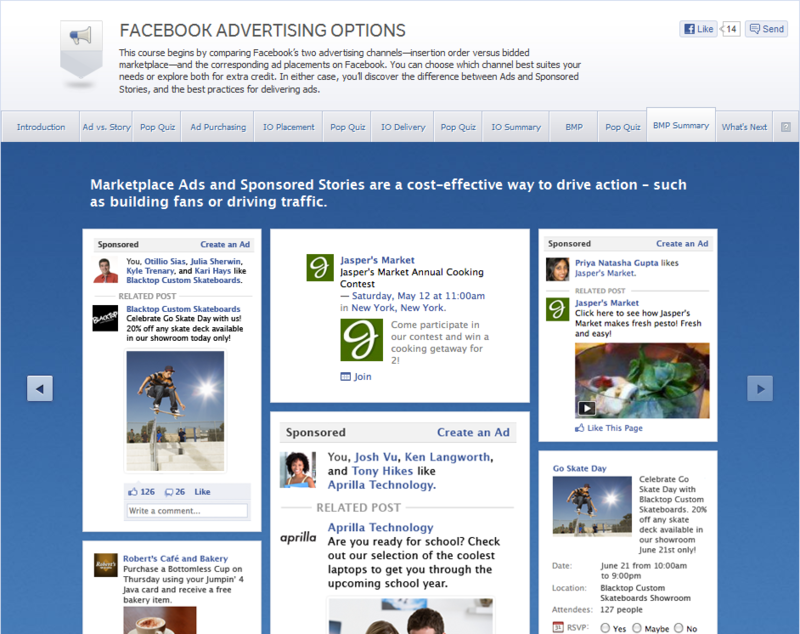 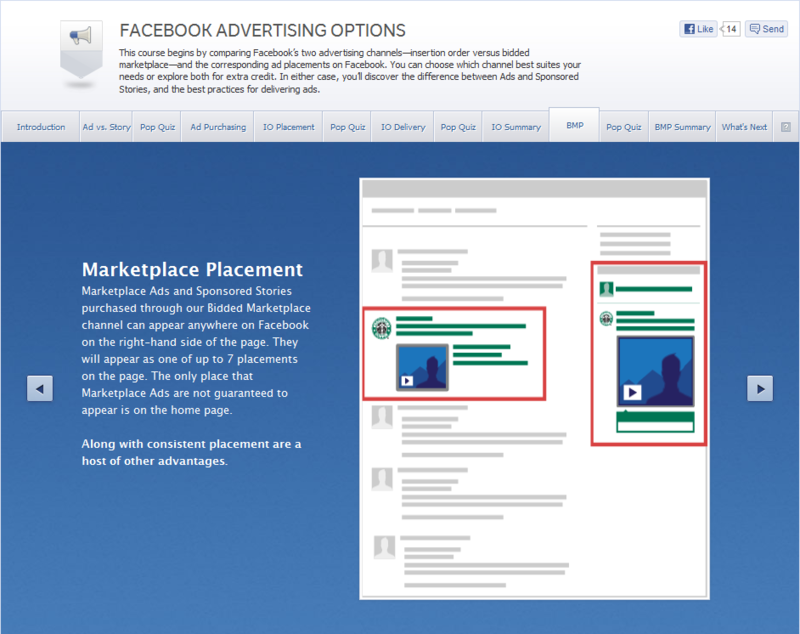 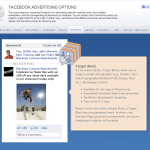 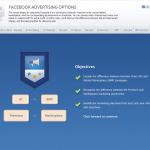 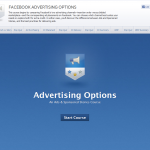 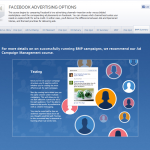 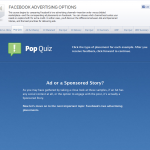 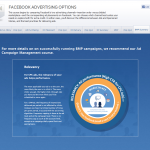 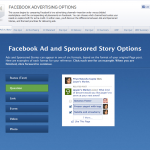 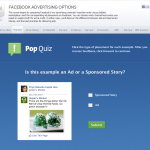 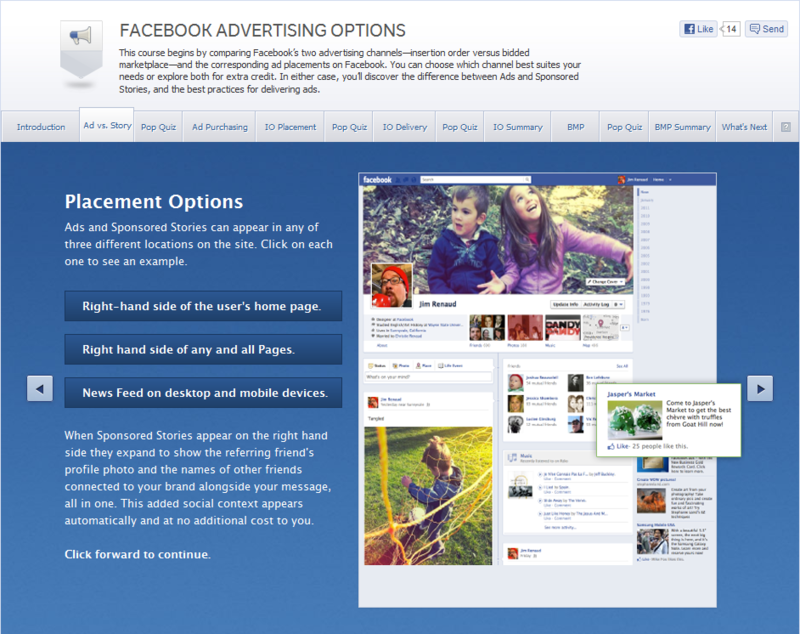 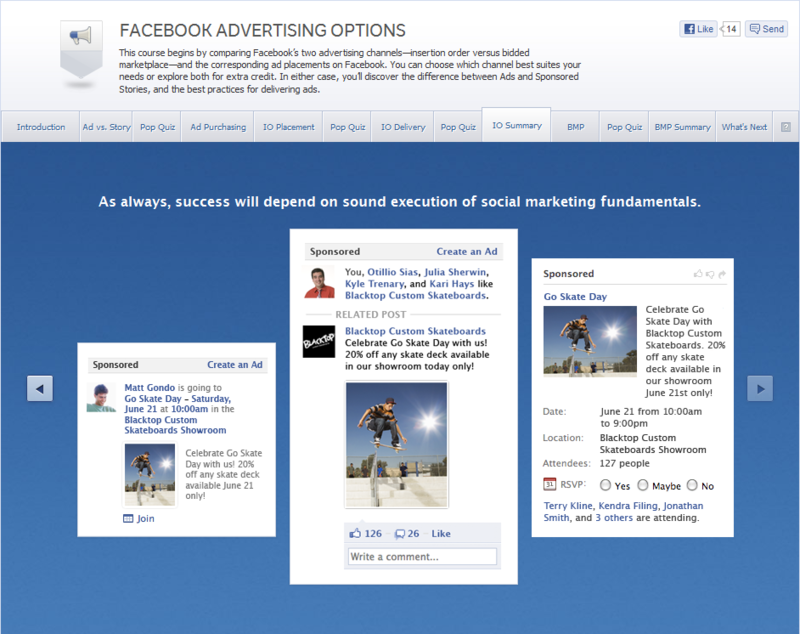 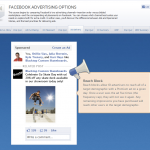 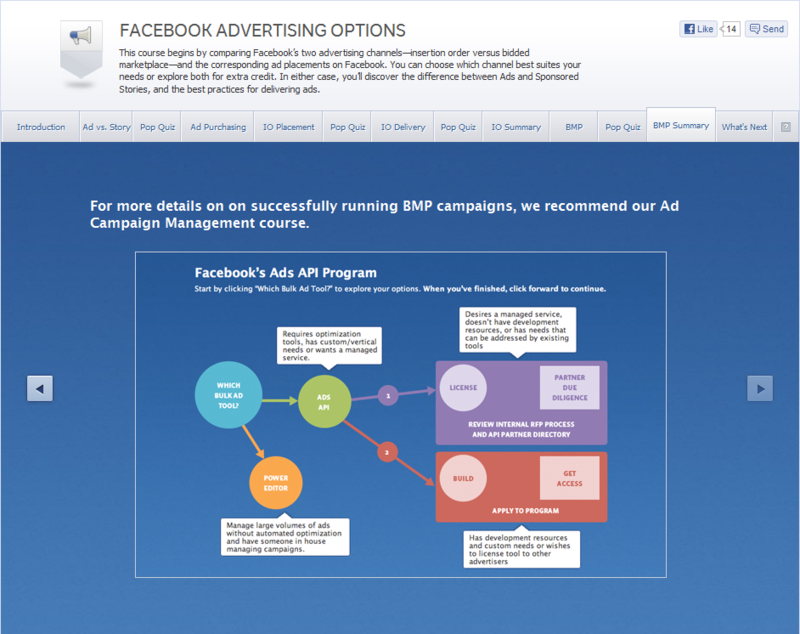 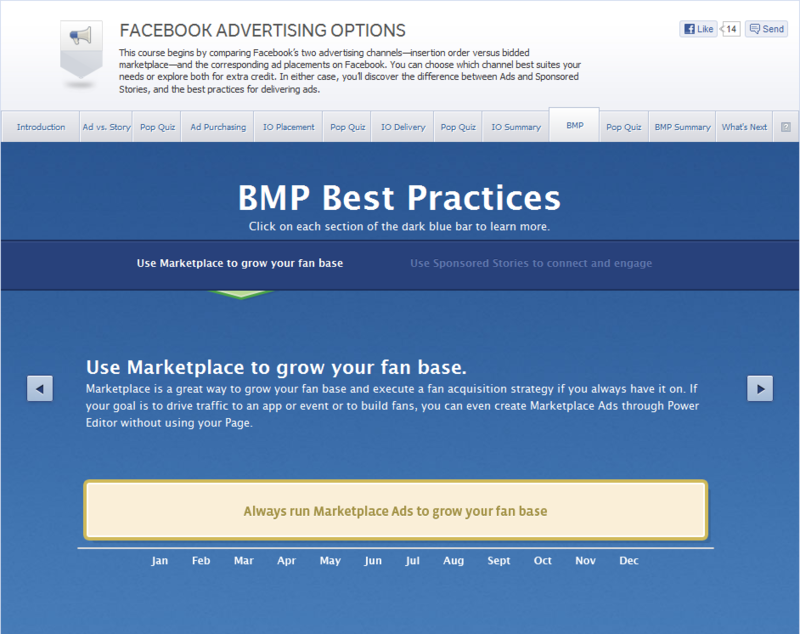 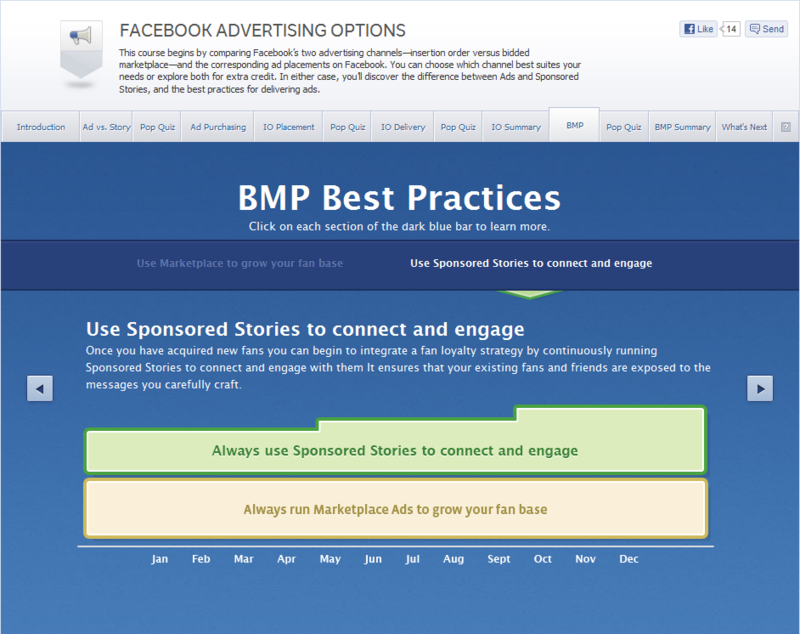 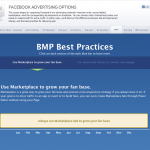 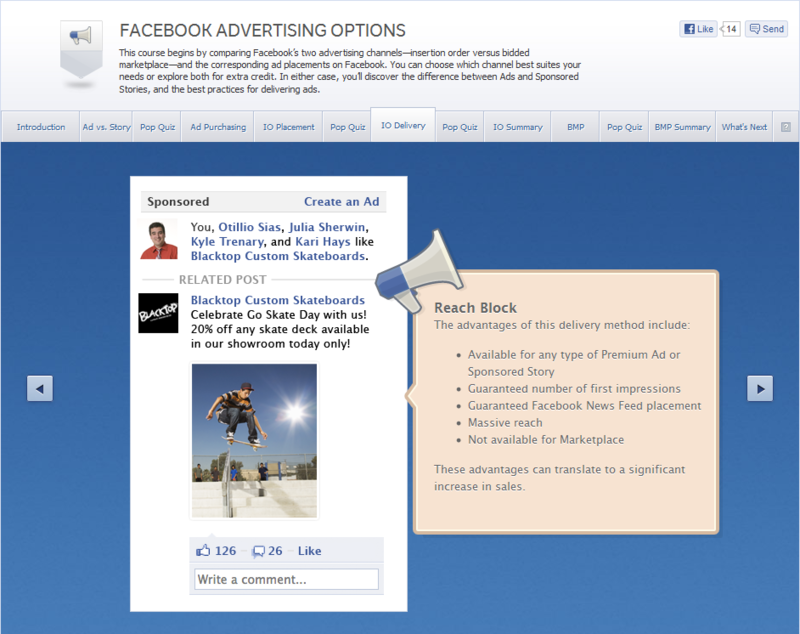 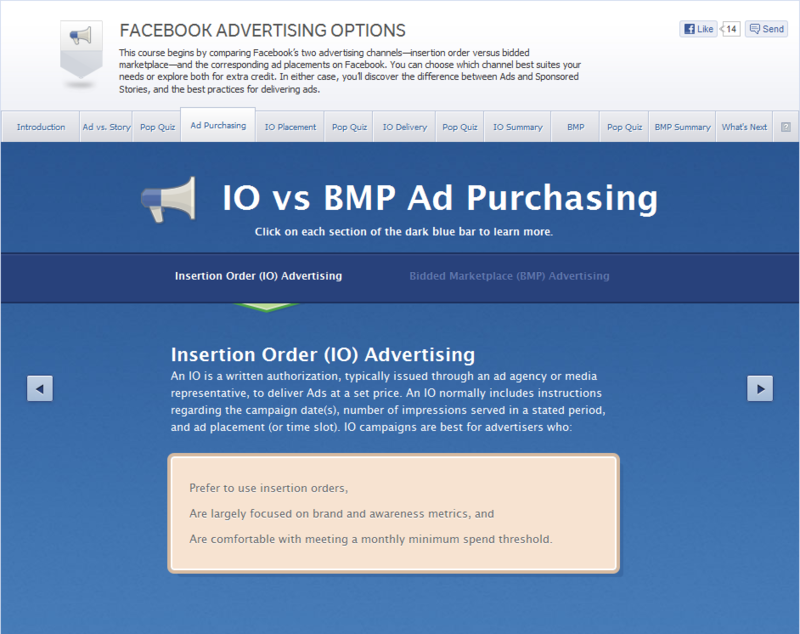 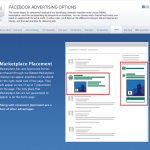 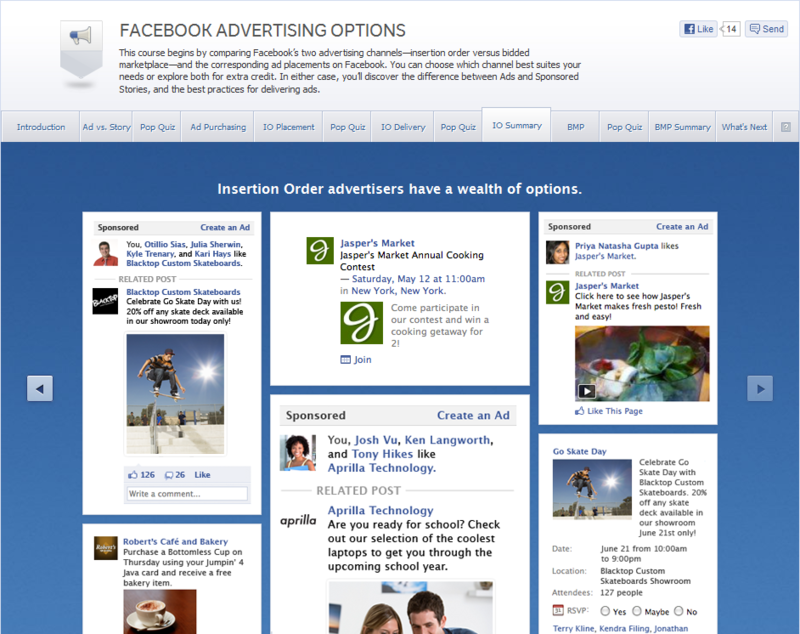 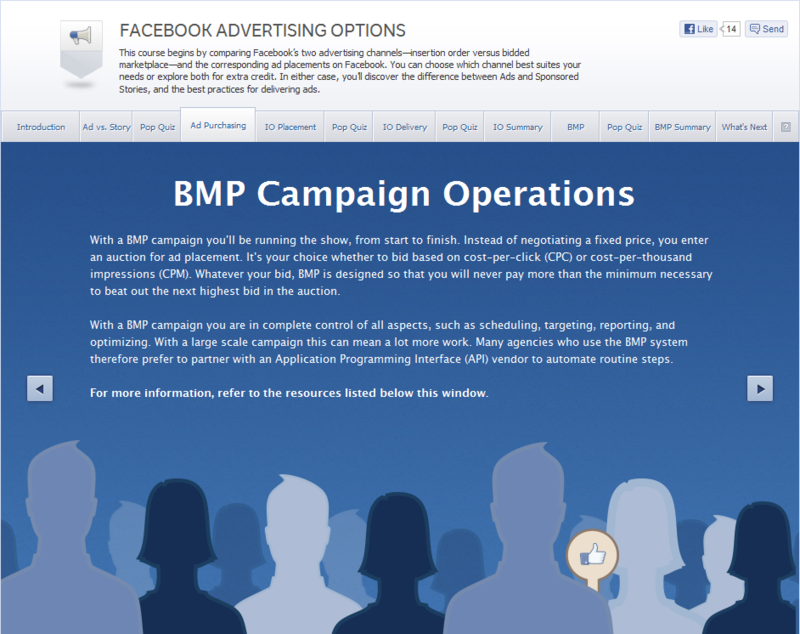 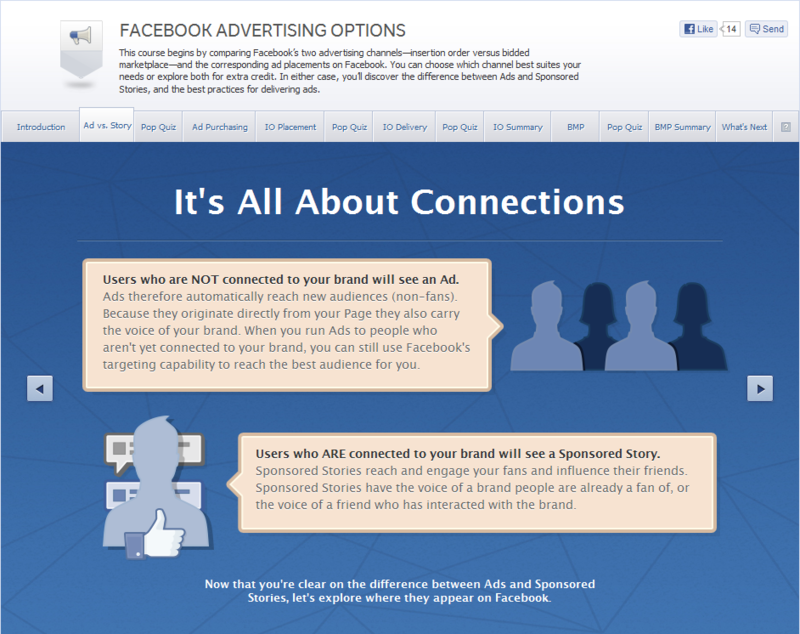 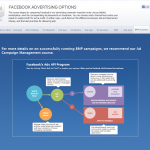 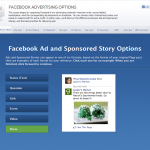 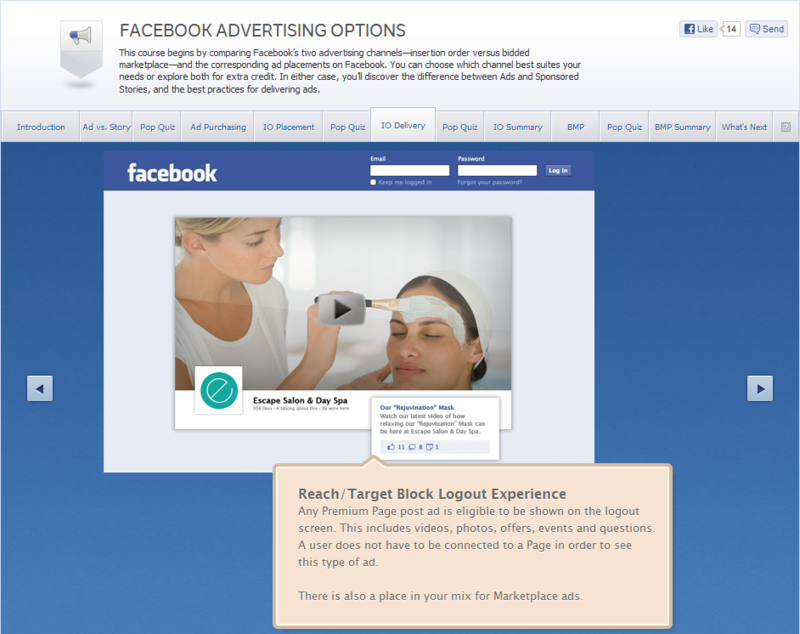 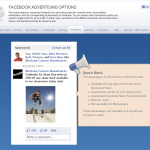 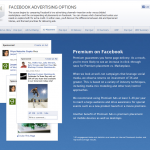 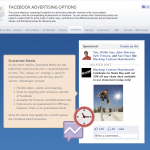 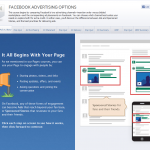 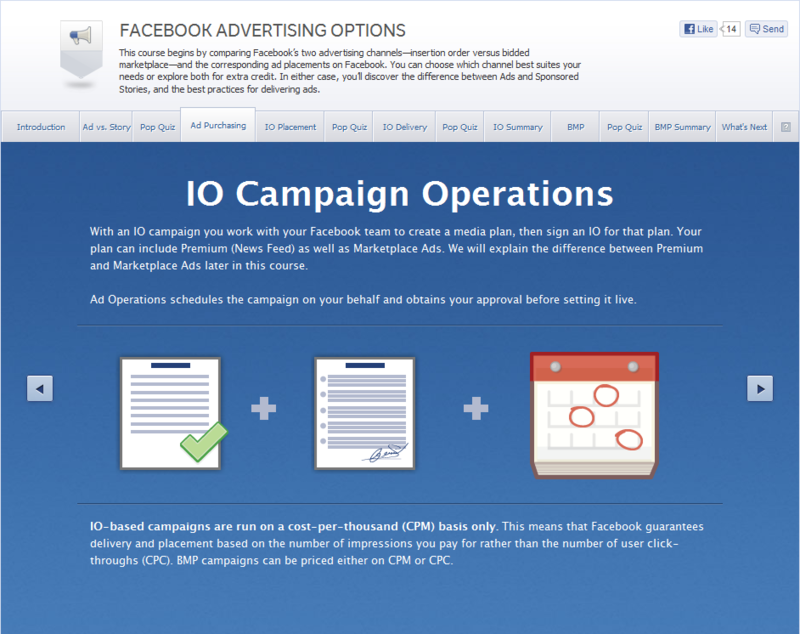 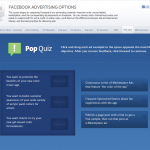 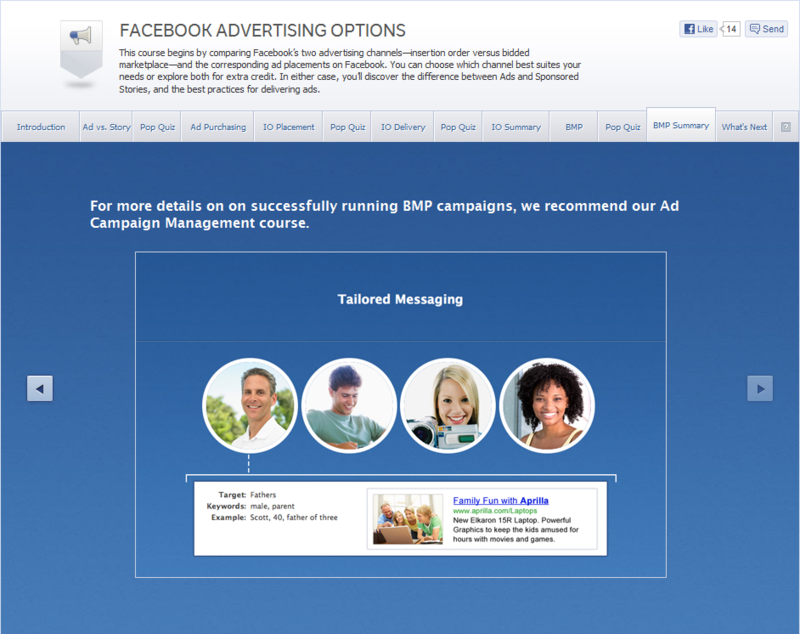 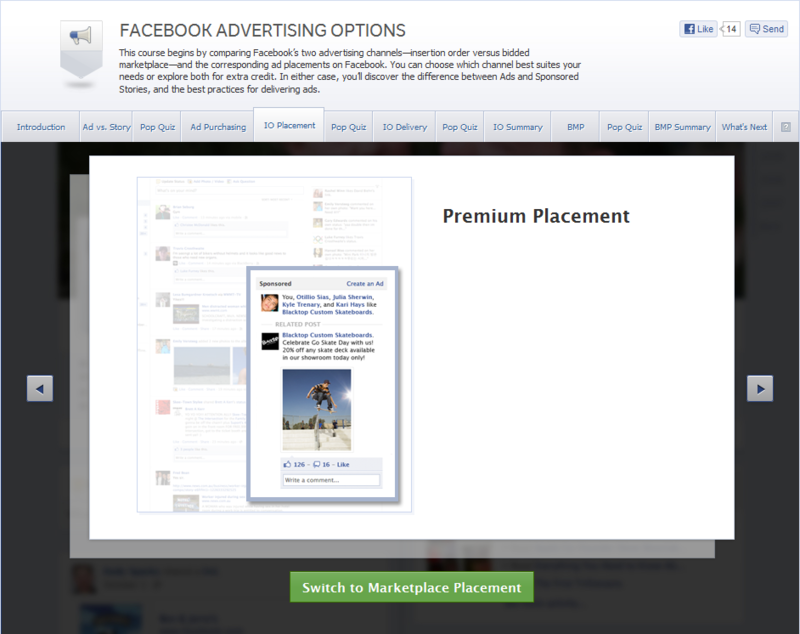 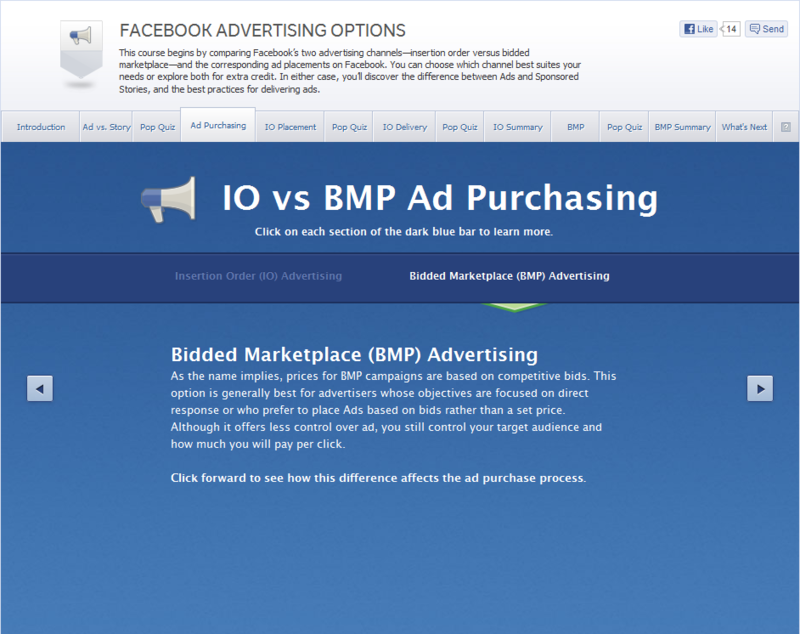 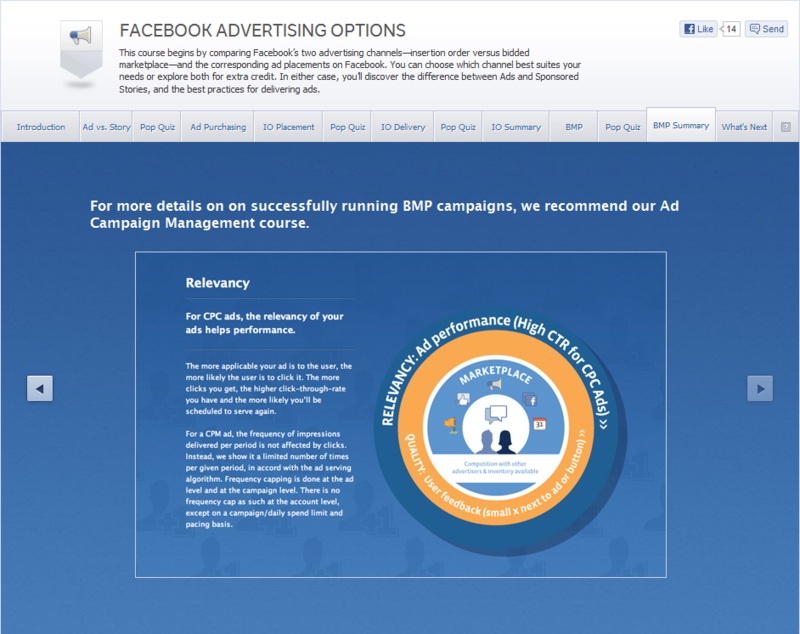 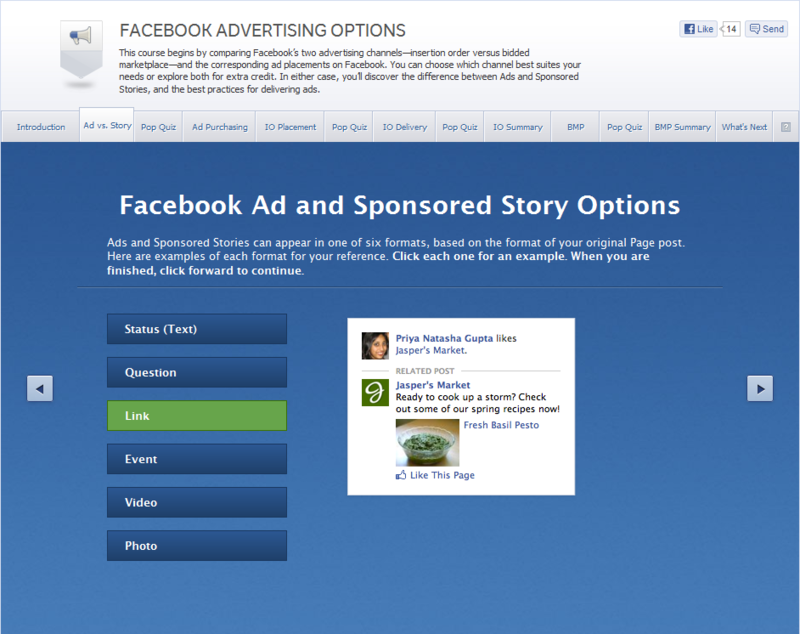 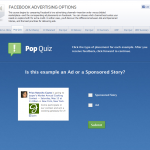 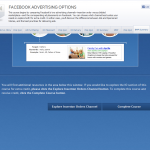 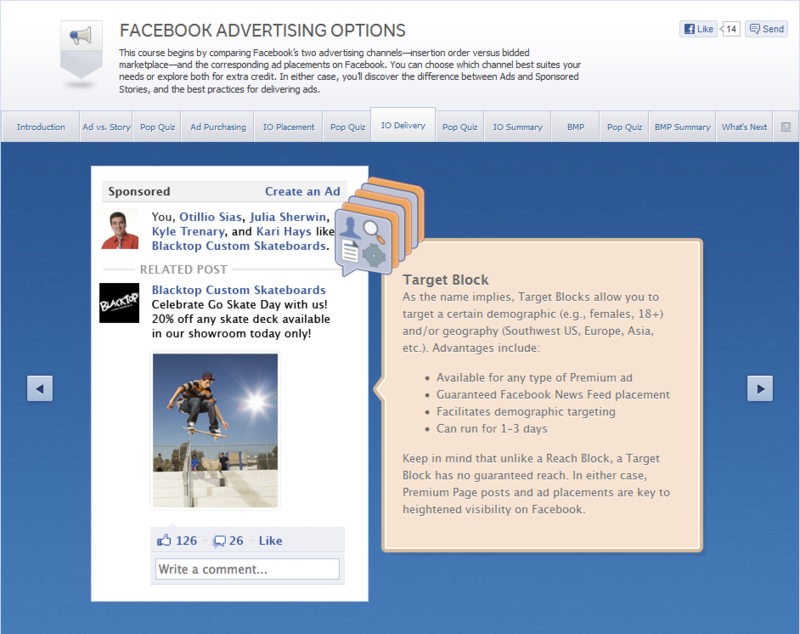 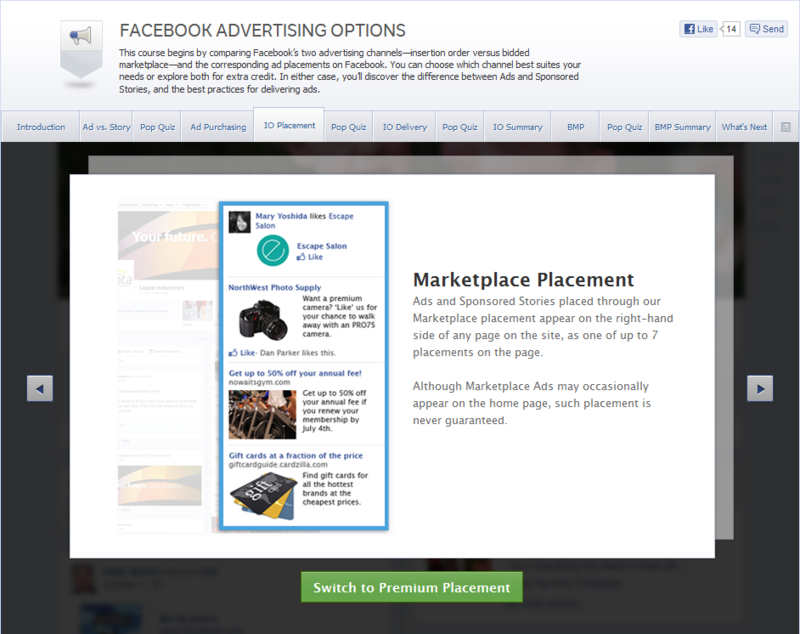 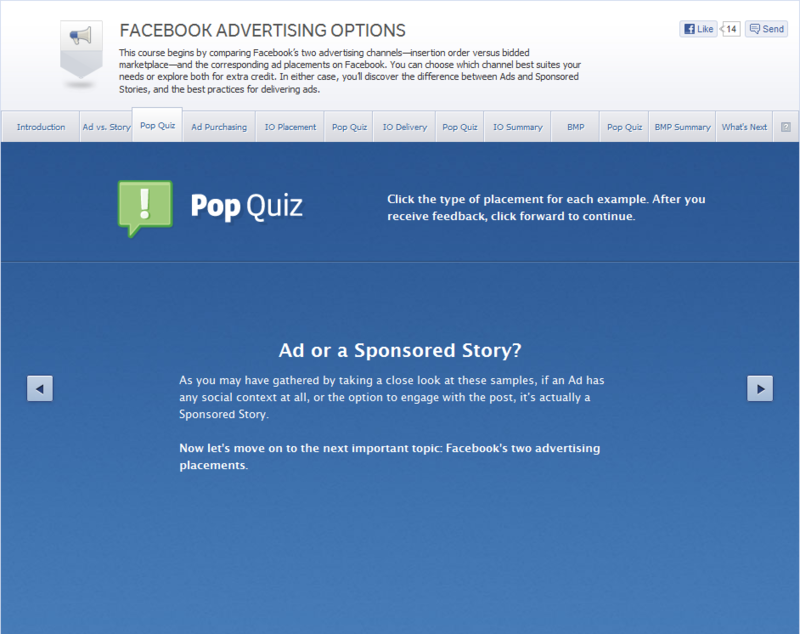 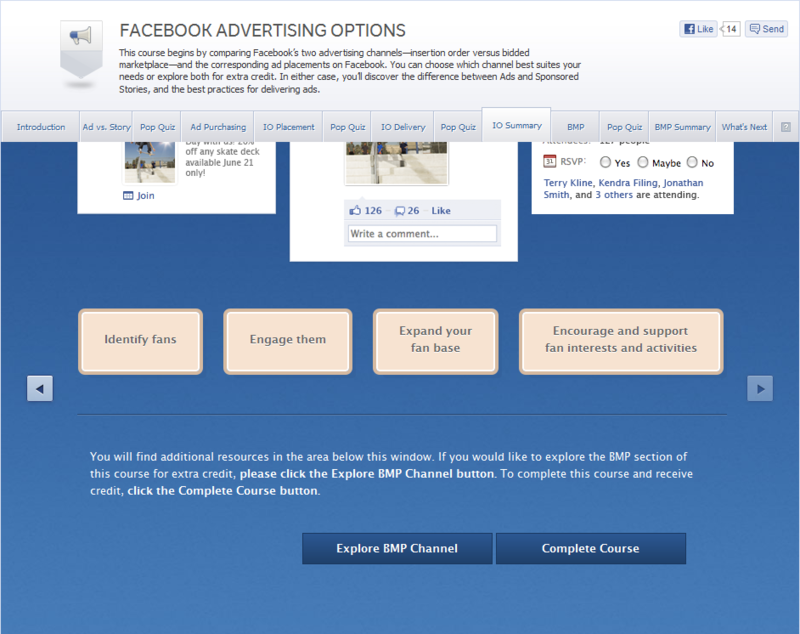 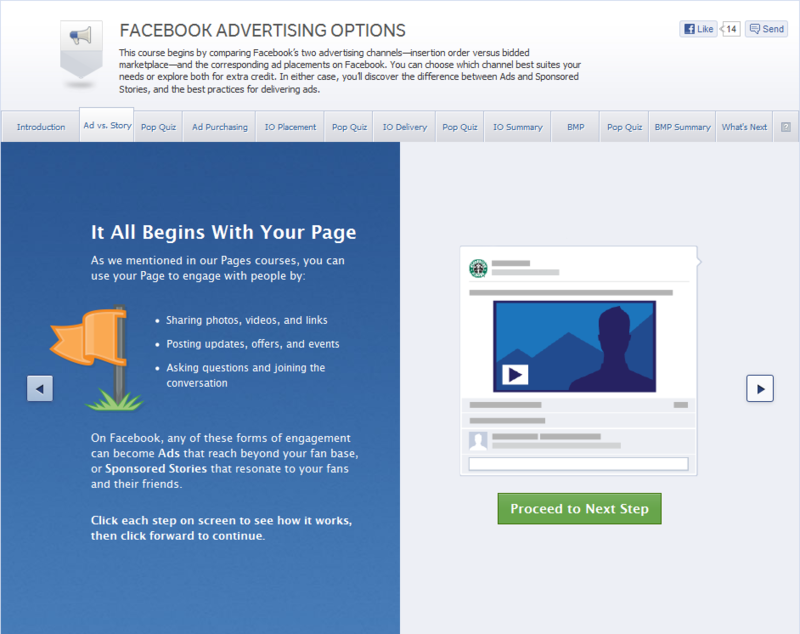 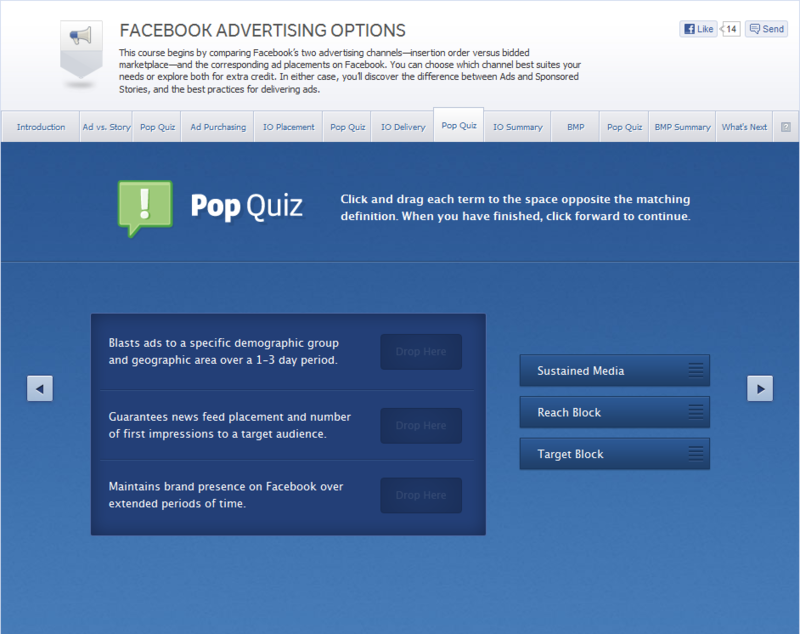 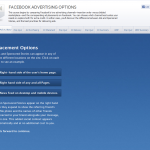 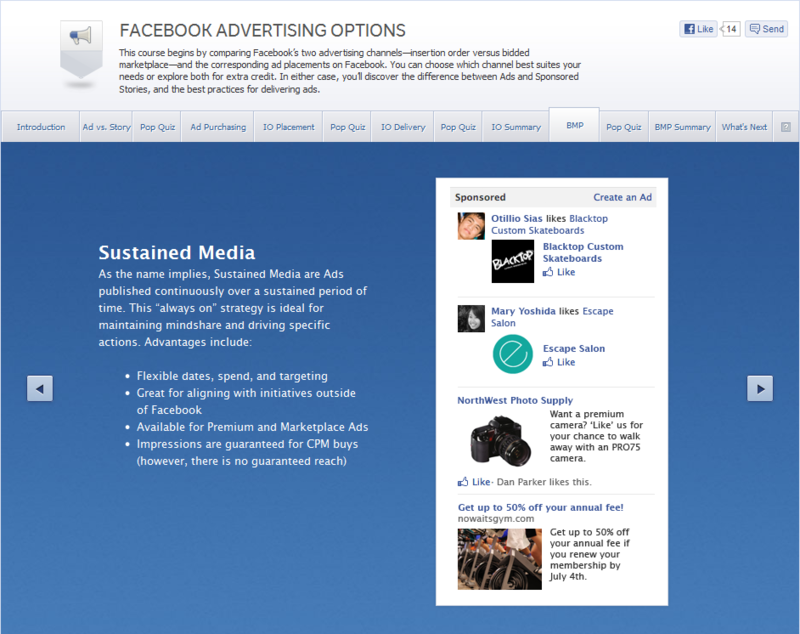 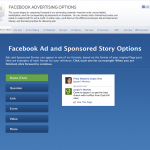 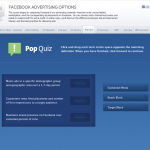 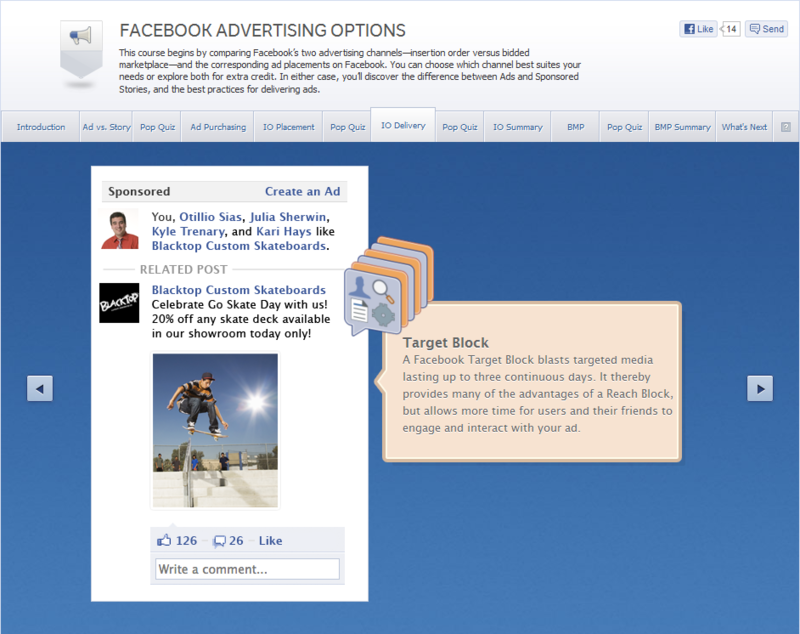 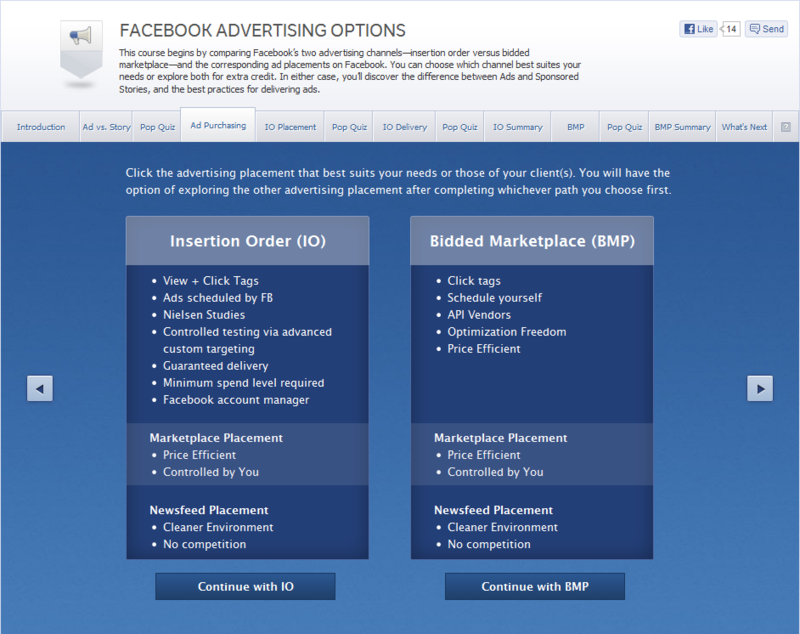 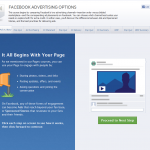 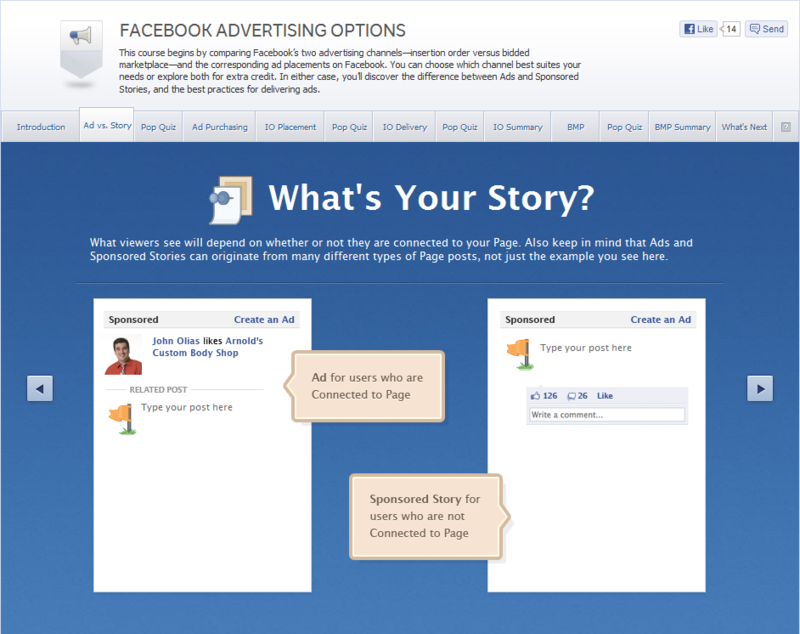 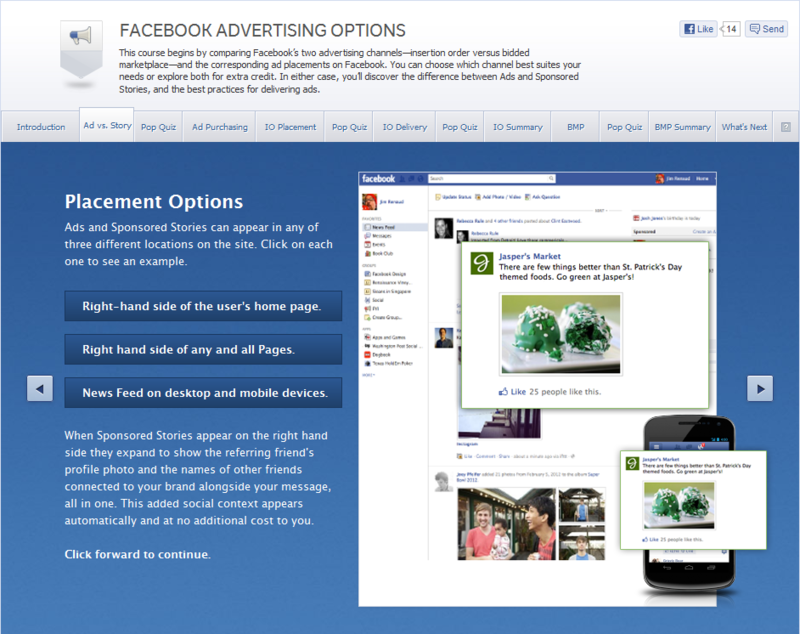 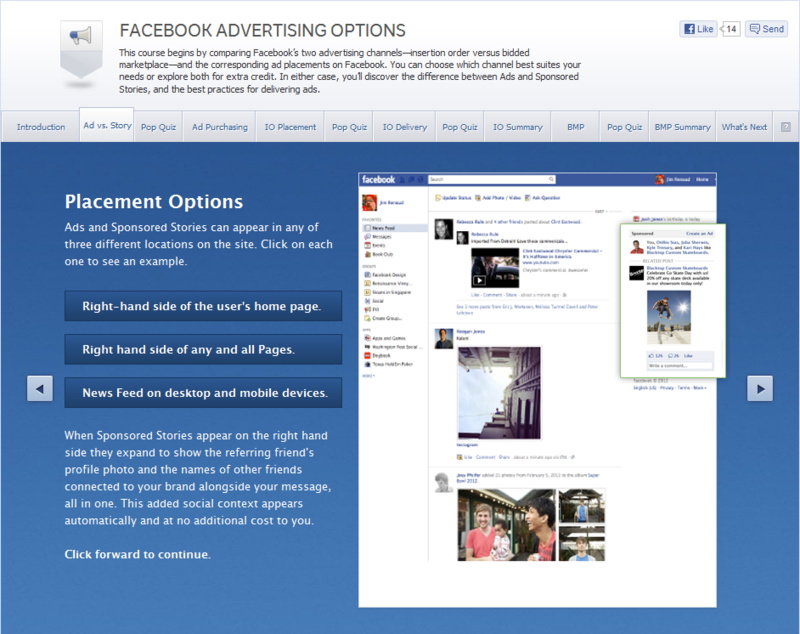 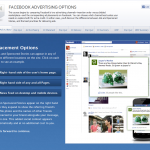 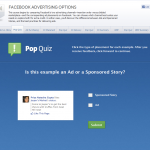 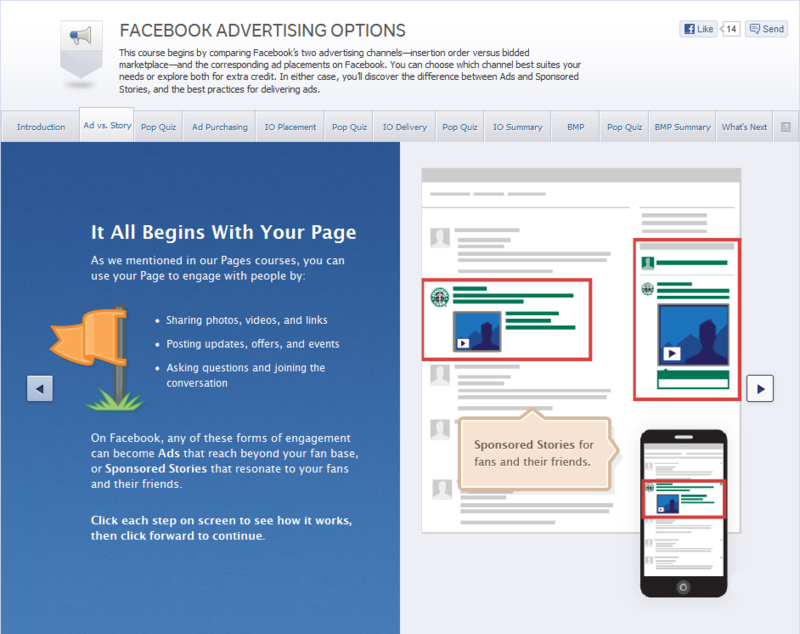 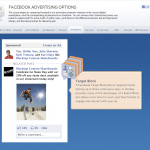 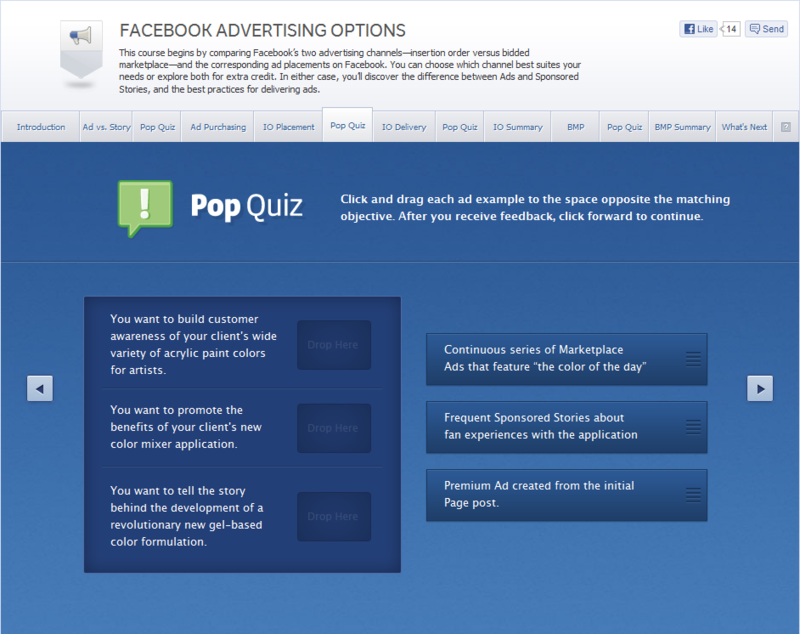 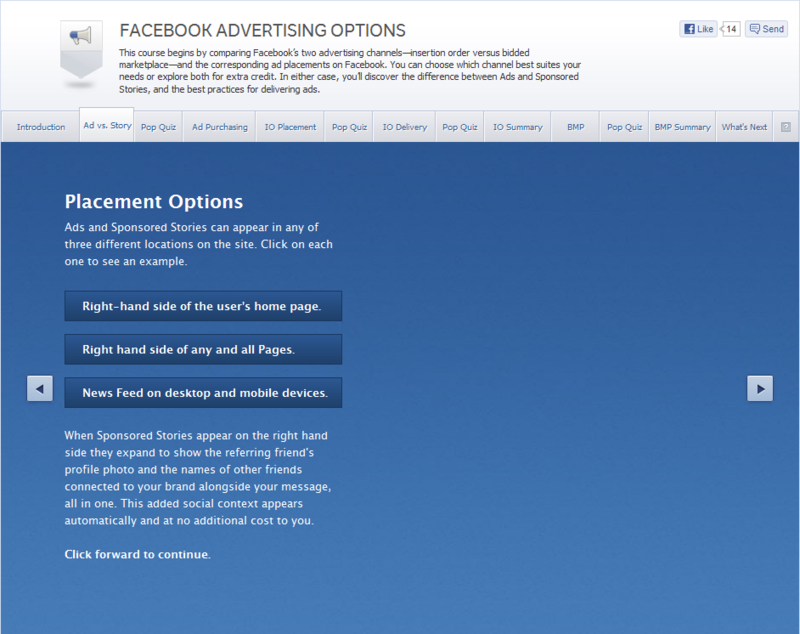 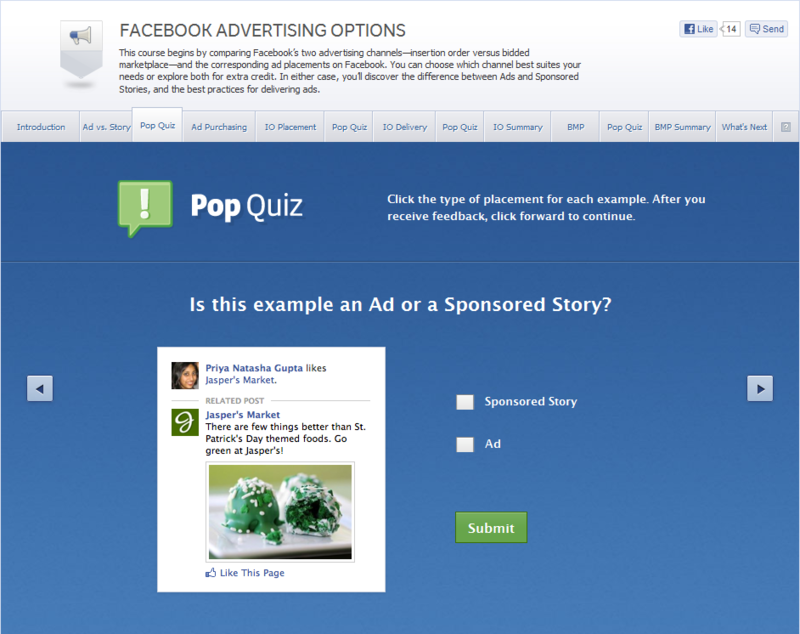 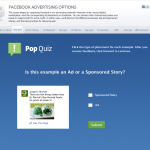 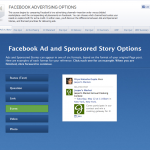 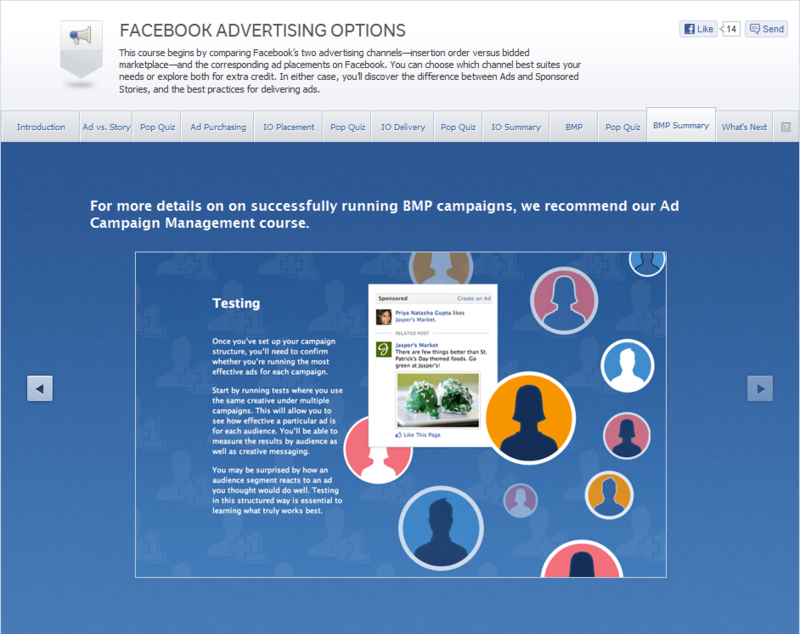 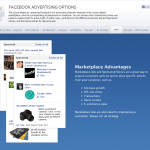 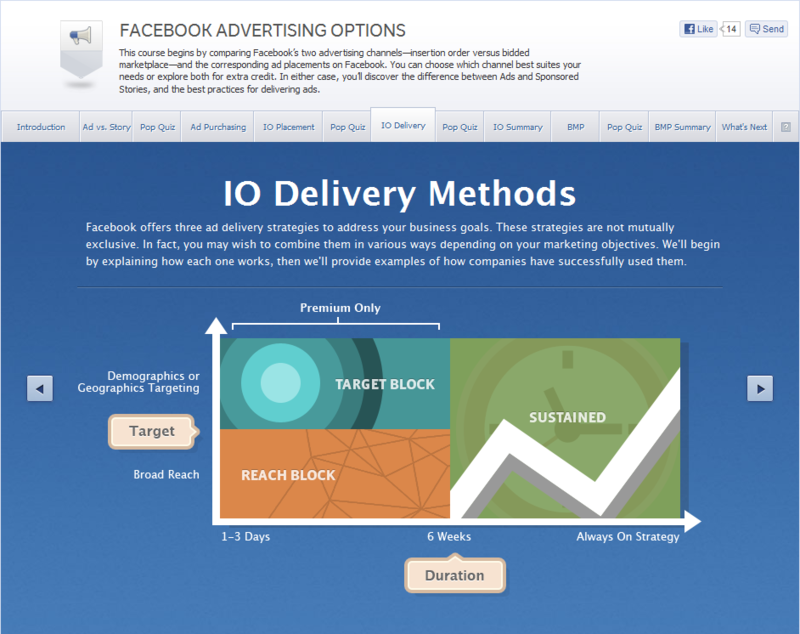 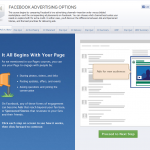 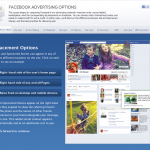 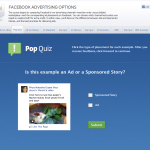 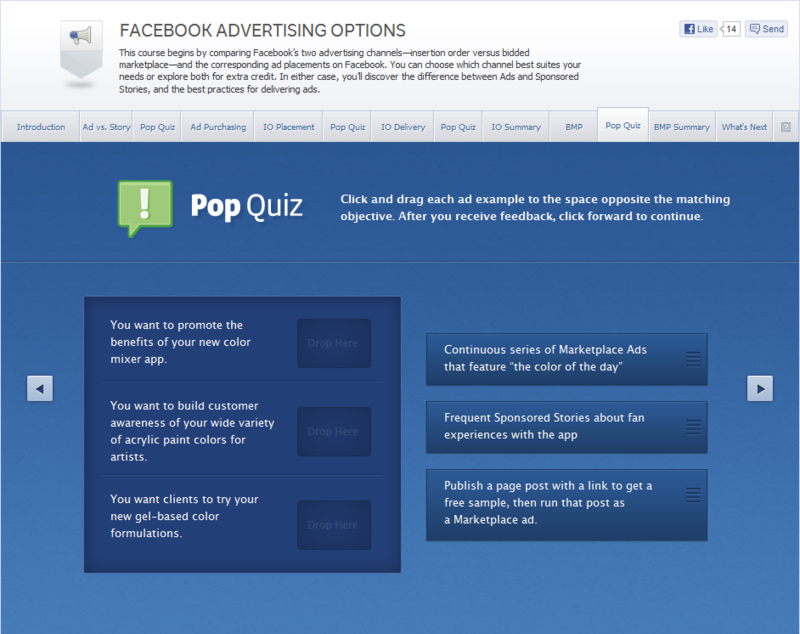 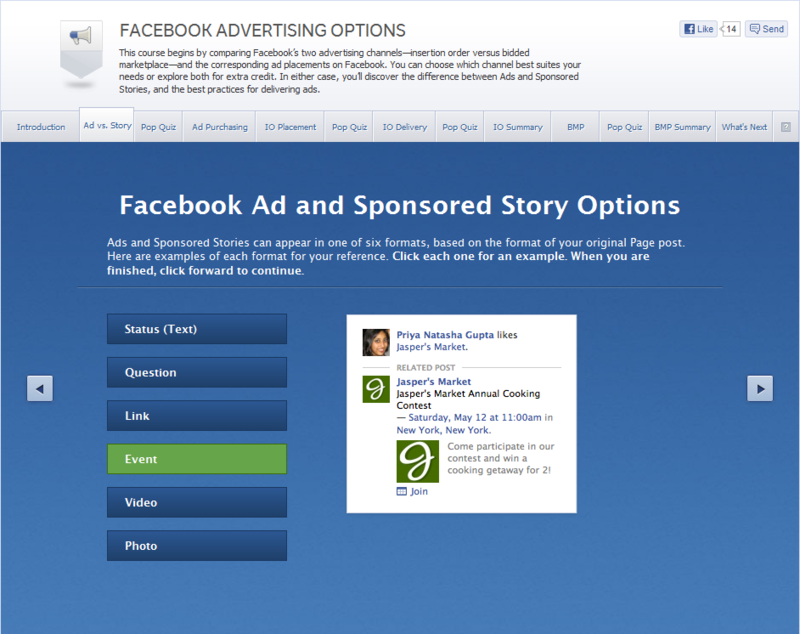 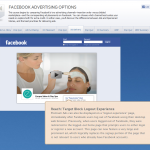 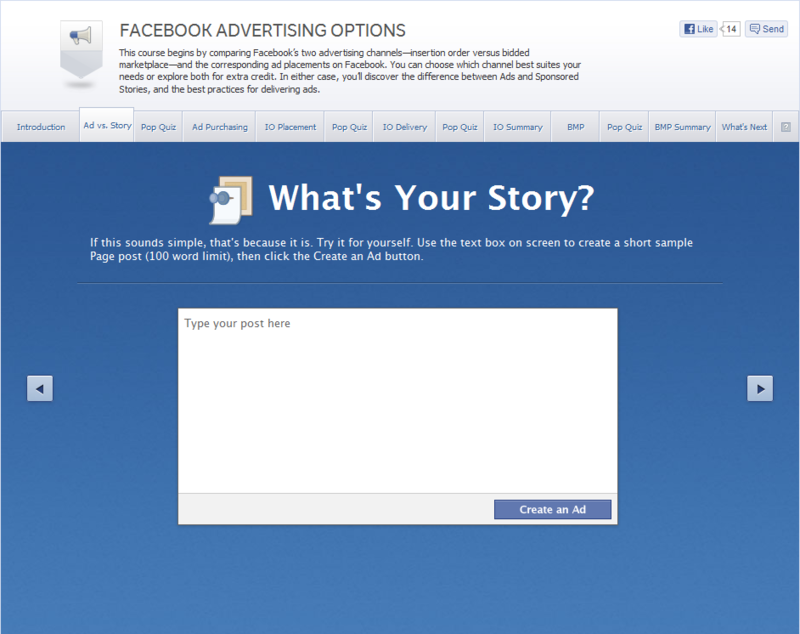 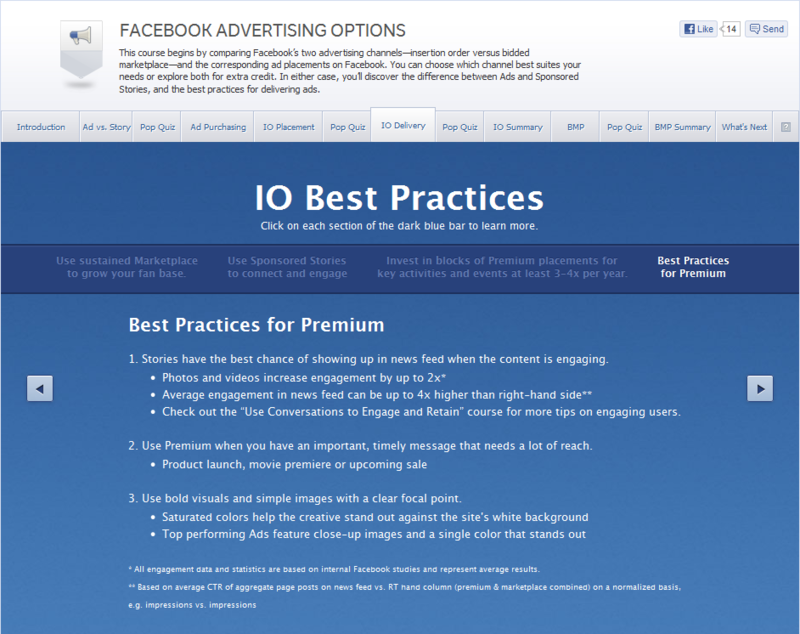 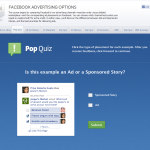 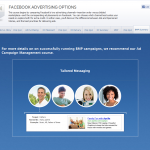 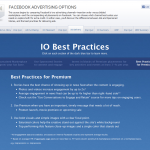 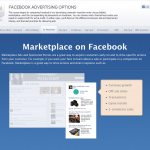 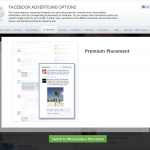 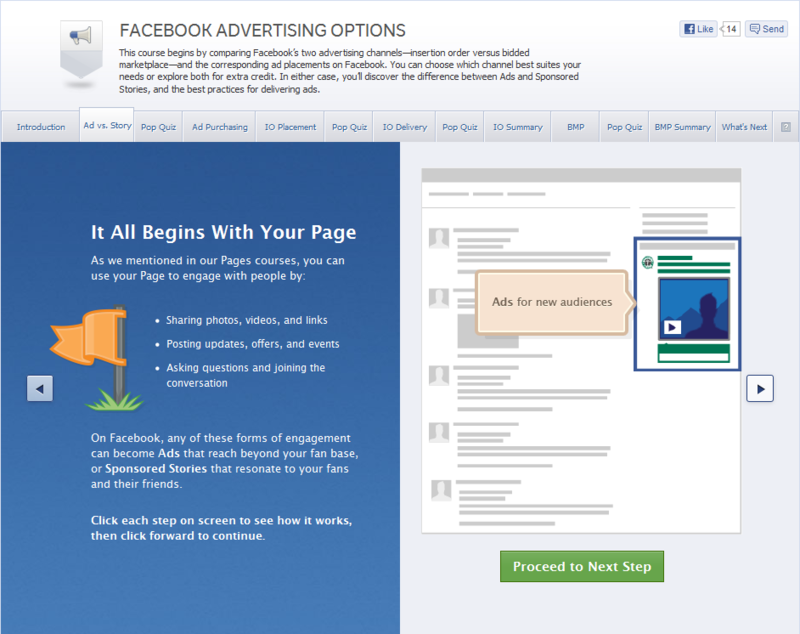 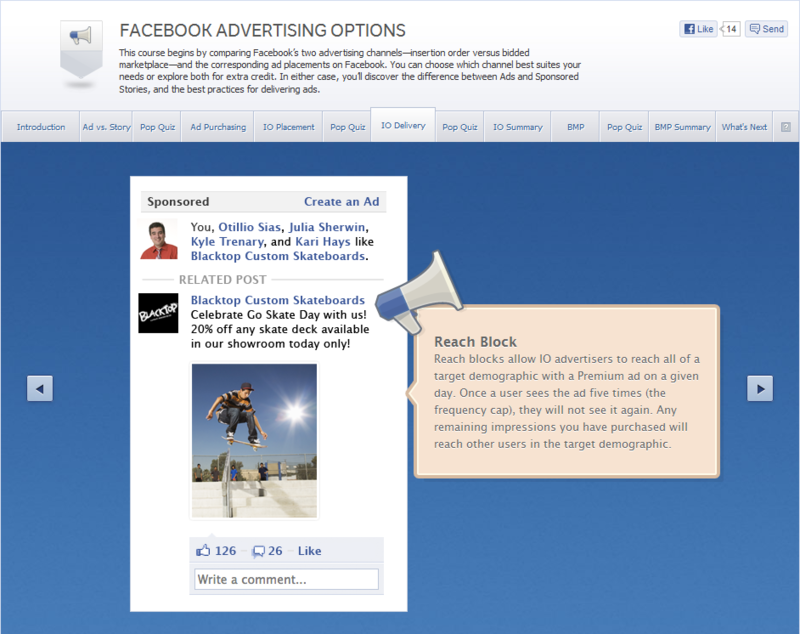 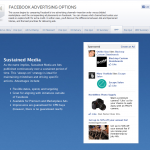 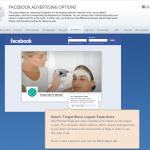 This course begins by comparing Facebook’s two advertising channels – insertion order versus bidded marketplace – and the corresponding ad placements on Facebook. 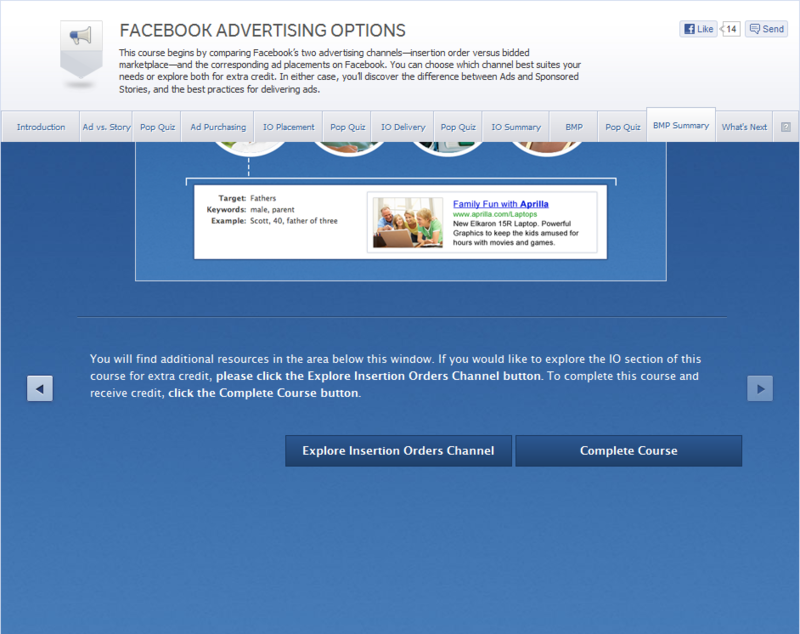 You can choose which channel best suites your needs or explore both for extra credit. 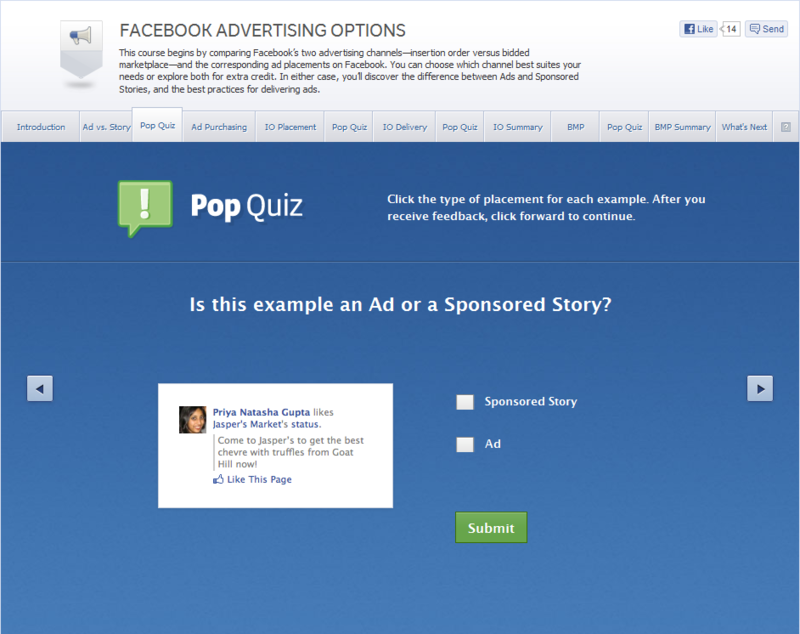 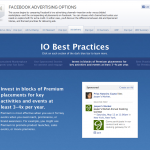 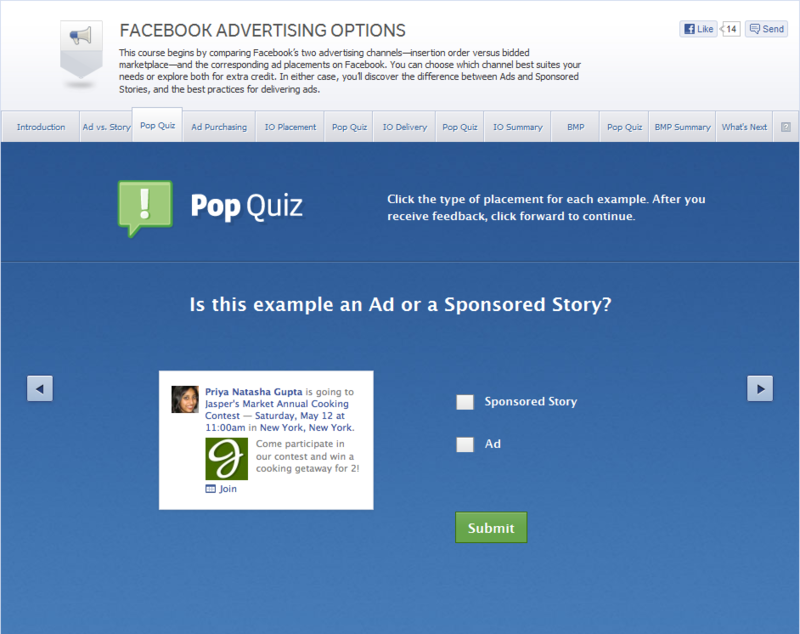 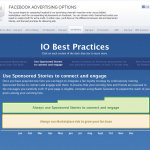 In either case, you’ll discover the difference between Ads and Sponsored Stories, and the best practices for delivering ads.